Join the Clearwater Marine Aquarium for a splashingly great holiday celebration visiting Winter’s Wonderland! Watch as the aquarium is transformed into Winter’s Wonderland through January 6. Get your family photo taken with Winter Claus, experience Winter’s Wonderland with lights and décor all around, and watch special Santa dive presentations at Mavis’s Rescue Hideaway. CMA is located at 249 Windward Passage in Clearwater. See the holiday themed habitats and wish happy holidays to our resident animals. Enjoy the Kids’ Fun Zone in our 3rd floor classrooms for crafts and fun facts about penguins and polar bears. Extended evening hours and special pricing are available online, as are advanced tickets for the Sea of Lights boat cruise on designated dates. Learn about more CMA holiday fun at https://www.seewinter.com/event/winters-wonderland/. 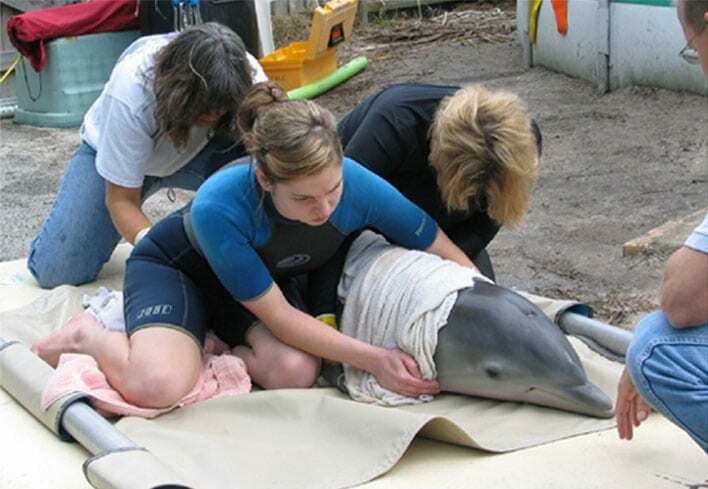 While you are at the Clearwater Marine Aquarium make sure to check out their many rescue efforts! You can donate buy buying a ticket or adopting an animal. They have many ways you can support their efforts. The cost of their ongoing rescue, rehabilitation, research, education and resident animal program exceeds what we are able to collect through admission. We rely on the generous donations of our visitors and the global community to support these significant costs. Every dollar you designate towards the Animal Care Fund is used for the direct care of our animals. For more holiday fun consider visiting Busch Gardens or the Florida Botanical Gardens.